Congressman Reid Ribble: "Representatives, through the gerrymandering process and redistricting, are picking their voters." MARTIN: You know, it's curious that the public expresses such dissatisfaction with the workings of Congress, and yet they keep reelecting you all. RIBBLE: That speaks to gerrymandering of districts. I mean, you talk about the political dysfunction, if you're coming from a district that's 80 percent Republican or 80 percent Democrat, your big problem is whether you're going to be primaried or not. The very nature pushes you to the perimeter of the political spectrum, just by virtue of the people you're giving voice to. I think the American people have a misperception of elections. We're at a place now in this country where voters are not picking their representatives anymore. Representatives, through the gerrymandering process and redistricting, are picking their voters. To hear the complete interview, go here. To read more about Congressman Ribble's incredibly sensible comments, go here. Now, if you haven't done so yet, please contact both your State Senator and your State Senator and tell them to co-sponsor and support bipartisan redistricting reform legislation -- Senate Bill 163 and Assembly Bill 185. This is the most important political reform needed for Wisconsin and the nation at this time. For inspiration, read this fantastic editorial that appeared in last Sunday's Milwaukee Journal Sentinel. We are gaining momentum and public attention on this issue. Let's keep it moving! Now please get inspired -- contact your state legislators and let's make this happen! The cost to Wisconsin taxpayers for the 2011 redistricting process - the most partisan, uncompetitive, secretive and expensive in Wisconsin's history -- is $2 million and rising. And for what? Wisconsin now has zero competitive congressional seats. That's right. All eight current U.S. House districts in our state are considered "safe" for the political party currently occupying them. In the State Assembly, just 15 of 99 fall into the "competitive" category. In the State Senate -- just three (or possibly four) of 33 seats are competitive. According to fiscal estimates filed by the Wisconsin Legislative Reference Bureau and the Government Accountability Board, the cost to taxpayers for redistricting if Senate Bill 163 and Assembly Bill 185 were in place instead of the current system? Zero. Nada. Nothing. And we would have a non-partisan entity drawing the state legislative and congressional district boundary lines in 2021 instead of partisan legislators and their high-priced, secretive, partisan lawyers. 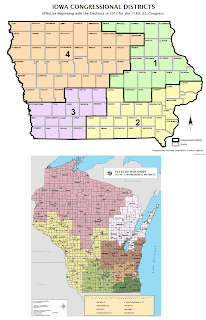 This past Sunday, the Wisconsin State Journal issued this excellent editorial in support of the Iowa Model for redistricting reform, which CC/WI strongly supports and had a key role in uniting pro-reform legislators behind earlier this year. And earlier this month, CC/WI asked Milwaukee Journal Sentinel Editorial Page Editor David Haynes to ask Governor Scott Walker, in their editorial board meeting with him, if he supported redistricting reform for 2021 and in having the non-partisan Legislative Reference Bureau draw the new boundary lines -- as is done in Iowa and which is embodied in Assembly Bill 185/Senate Bill 163. Watch this video for the Governor's response. And late in June, the Beloit Daily News ran this excellent article detailing the comments of area legislators about redistricting reform. 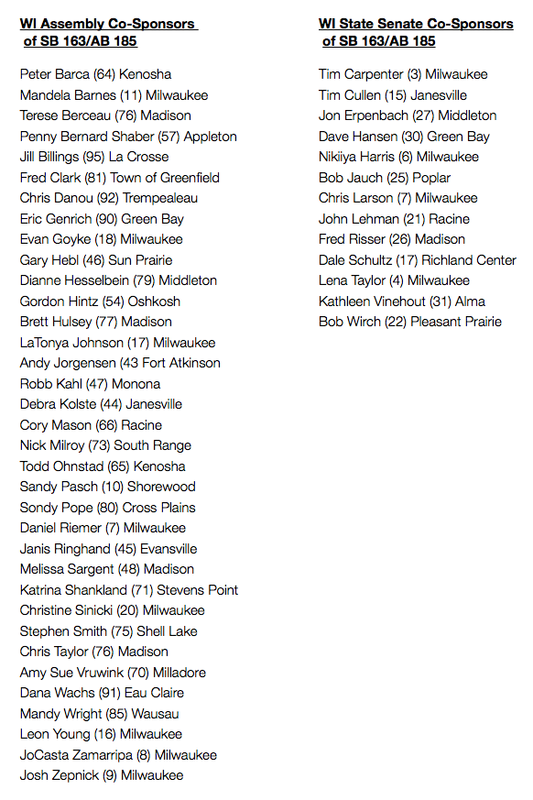 If your State Representative and/or State Senator are on this list, drop them a line and thank them for their support and tell them it is a priority for you and for Wisconsin. If your State Representative or/and your State Senator are not on the above list, please contact them and tell them to support Senate Bill 163/Assembly Bill 185! If you are not sure who your State Representative and/or your State Senator are go here. Redistricting reform is one of our top priorities and we will continue to keep you updated on its progress. Another "Caucus Scandal" in the Making? Another “Caucus Scandal” in the Making? How quickly we have forgotten. Does anyone remember the infamous Legislative Caucus Scandal of 2001-2002 and how it paralyzed state government for over a year and brought down the top legislative leaders of both political parties and in both chambers in the most serious political scandal to rock Wisconsin in a century? Apparently not many members of the current Wisconsin Legislature do. On consecutive days in mid-October of 2002, State Senate Majority Leader Chuck Chvala (D-Madison), Assembly Speaker Scott Jensen (R-Town of Brookfield), Assembly Majority Leader Steve Foti (R-Oconomowoc), and Assistant Assembly Majority Leader Bonnie Ladwig (R-Mount Pleasant) were charged with criminal misconduct in public office. Chvala, Jensen and Foti were hit with felony charges and Ladwig with a misdemeanor charge. Four months earlier, State Senator Brian Burke (D-Milwaukee), the Co-Chair of the “powerful” Joint Finance Committee (and a “sworn” enemy of Chvala’s) was charged with numerous felony misconduct in public office charges. The Caucus Scandal encompassed a lot of wrongdoing by the top legislative leaders of both political parties in Wisconsin. But at its heart -- it was about power and control of money – particularly special interest money. 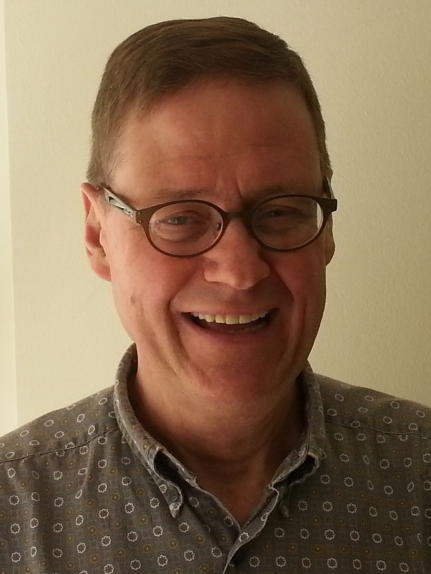 Chuck Chvala was charged with directing special interest groups and companies to send money to help candidates he wanted to have helped or they could forget about having legislation they favored ever going anywhere in the Capitol. He even set up a sham phony issue ad group with the ironic name of “Independent Citizens for Democracy.” It was, of course, the exact opposite of all three of those words. It was anything but independent, there were no citizens involved in it and it undermined democracy. Legislative leaders then, as now, were also the de facto heads of the four legislative campaign committees – which are big Super PACS of mostly special interest money that the leaders control and direct to reward favored candidates and punish those that fall out of line. The four legislative campaign committees (State Senate Democratic and Republican Campaign Committees and the Assembly Democratic and Republican Campaign Committees) as well as the two major political parties are all, by law, limited to collecting $150,000 in special interest political action committee money every two years – hardly chump change. But earlier this month, Assembly Bill 225, the campaign finance and elections package that passed in the State Assembly by voice vote, contained a provision that doubled all contribution limits for candidates. Candidates for Governor and other statewide office would be able to collect $20,000 from any individual. Obviously that will be a small but very influential universe of Wisconsinites who will be able to make such substantial political donations. But what is even more alarming than the doubling of contributions to candidates -- and which has not been talked about by anyone but Common Cause in Wisconsin -- is the provision that doubles the amount of special interest money that the four legislative campaign committees will be able to collect if Assembly Bill 225 becomes law. Instead of the current $150,000, Assembly Bill 225 would allow all four of them to each collect $300,000 every two years. The legislative leadership would then have more money to control and dole out at their whim. And the independence of rank and file members of the Assembly and State Senate would be diminished further. If the leadership didn’t like that a legislator exercised independent judgment and voted against the position of the leadership – even on a matter of conscience – the leadership could “punish” that legislator and even threaten to finance a primary challenge to him or her. That’s what Chvala did in the late 1990’s. And Assembly Bill 225 gives twice as much special interest money to the leaders to use to squelch dissent. 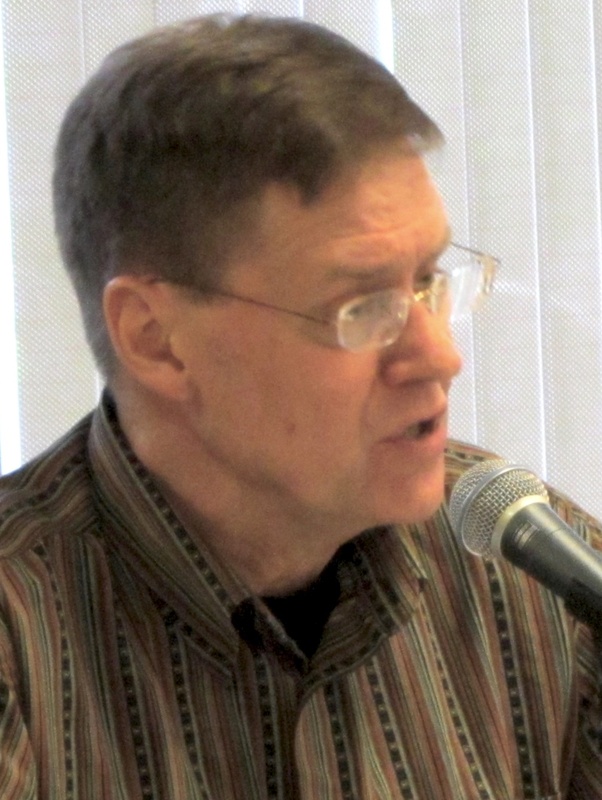 In the Fall of 2001, CC/WI worked closely with - then State Representatives Marty Reynolds (D-Ladysmith) and Mike Powers (R-Albany) to eliminate the four partisan Legislative Caucus Staffs. And it passed – at a savings of $4 million a year to Wisconsin taxpayers. We then tried to eliminate the legislative campaign committees, but fell short. When the State Senate considers Assembly Bill 225 – it ought to eliminate the doubling of contributions to candidates. But it absolutely ought to eliminate the provision that doubles the amount of special interest PAC contributions that would rise from the current $150,000 to $300,000 to the legislative campaign committees every two years. Better yet, the State Senate should eliminate altogether the legislative campaign committees and get the special interest money out of the State Capitol and out of the hands of the legislative leaders -- who should focus on the needs of the citizens of Wisconsin, instead of the enhancement of their own, fleeting, political power. If not, remember the names Jensen, Chvala, Foti, Ladwig and Burke. And begin to place your bet on when the next big campaign fundraising scandal in the Wisconsin Legislature erupts. The smart money will bet on sooner rather than later. To read an article about the 2002 criminal charging of the top legislative leaders in the Caucus Scandal, go here. To review the major events and chronology of the Caucus Scandal, go here. Note: A version of this opinion-editorial has appeared in the Wisconsin State Journal, Kenosha News and the Appleton Post-Crescent. The State Budget battle dominated the month of June, but there was plenty of "action" on the political reform front as well during the month just passed -- as 2013 reaches the halfway mark. 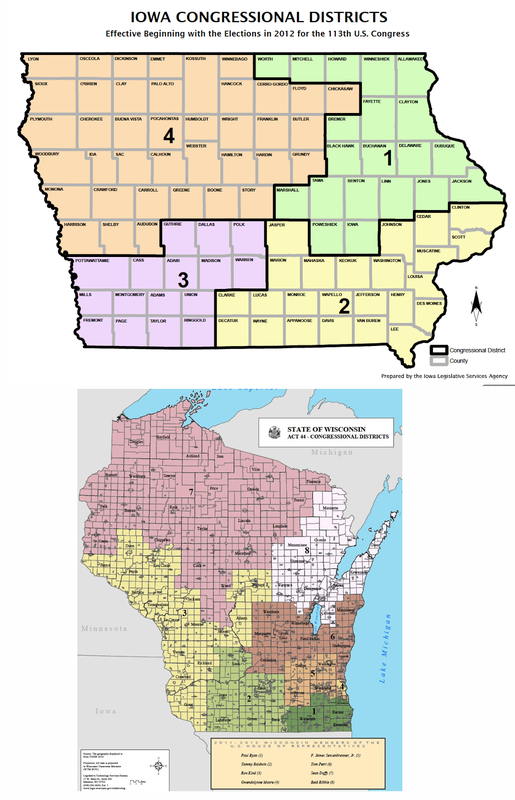 CC/WI has been pushing for redistricting reform this year, in order to be in place for 2021 after the next decennial census. This past weekend, this detailed article appeared in the Beloit Daily News about where legislators in south-central Wisconsin stand on this issue (or refuse to comment), as well as an analysis of the "Iowa Model" reform legislation that we are supporting. Earlier this month, CC/WI led the attack against a hyper-partisan campaign finance and elections package sprung on Wisconsin without any advance warning at the beginning of the month. After CC/WI director Jay Heck debated the lead author of Assembly Bill 225, and many CC/WI members and other concerned citizens weighed in and railed against the legislation as introduced, the proponents revised the legislation and took many of the most onerous provisions out, but inserted another misguided and self-serving provision that would double not only the limit on maximum contributions to legislative and statewide candidates, but -- even worse -- double the amount of special interest money that can be collected by the four legislative campaign committees from $150,000 to $300,000 every two years. These committees are controlled by the four legislative leaders (Assembly Speaker and Assembly Minority Leader and the State Senate Majority and Minority Leaders). 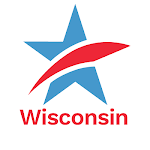 CC/WI explains why this provision would be so detrimental to Wisconsin politics and state government in an opinion editorial that appeared last week in the Wisconsin State Journal, Kenosha News and Appleton Post Crescent. Assembly Bill 225 is expected to come before the State Senate in the weeks or months ahead. Finally, CC/WI is pushing anew for electioneering disclosure legislation -- which is desperately needed in Wisconsin so that voters know who is trying to influence their vote at election time through the tens of millions of dollars worth of non-candidate communications that choke our airwaves and mailboxes. Our opinion-editorial on this matter appeared in the Milwaukee Journal Sentinel. Heading into the second half of 2013, CC/WI will continue to focus on redistricting reform, electioneering disclosure and, of course, battle against further attempts to flood Wisconsin with more secret, special interest money and attempts to make it more difficult to vote. 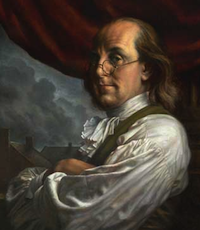 And, as always, we count on your support for our work and for your active participation in this fragile American experiment called democracy -- which Benjamin Franklin once defined as: "two wolves and a lamb voting on what to have for lunch." As protectors of the lamb, we have to fight all the harder. Another caucus scandal in the making? Recently, Jay Heck asked Milwaukee Journal Sentinel Editorial Page Editor David Haynes to ask Governor Scott Walker, in their editorial board meeting with him today, if he supported redistricting reform for 2021 and in having the non-partisan Legislative Reference Bureau draw the new boundary lines -- as is done in Iowa and which is embodied in Assembly Bill 185/Senate Bill 163.